100% whole grain noodles with a rich, warming flavor. Buckwheat protein is superior to other cereal grain as it has all essential amino acids, and is the best source of the important flavonoid rutin. It is traditionally made and patiently two-step dried. Despite the name, buckwheat is not wheat and is not related to wheat. A delicious, versatile, strengthening food, enjoy it hot or chilled in dashi - a shoyu soy sauce kombu broth and in salads and stir-fries. Wrap it in toasted nori to make delicious noodle sushi. 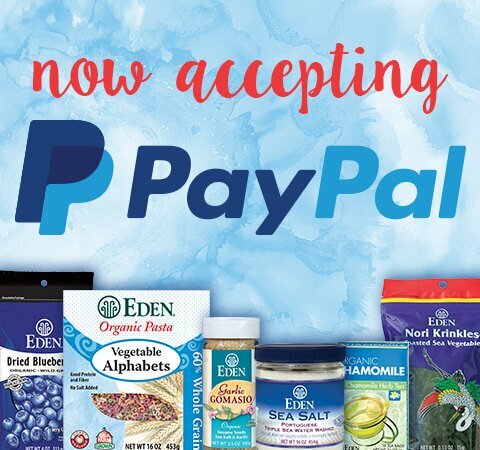 It provides healthy fiber, protein, and complex carbs with no salt added. It is produced on equipment that also handles wheat and eggs. 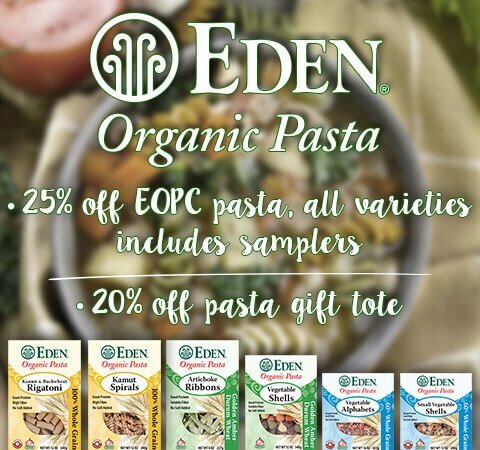 Eden 100% Buckwheat Soba is 100% whole grain noodles with a rich, warming flavor. It is traditionally made in Japan and patiently two-step dried into a delicious and easy way to enjoy the flavor and exceptional health benefit of buckwheat. Soba is Japanese for buckwheat. In Japan, 100% pure Buckwheat Soba is called 'kiko uchi'. Whole buckwheat is stone ground into flour then added to a mixer with pure water to form a dough. A slow mixing process ensures the best texture and flavor. A series of rollers gradually presses the dough into thin sheets that are cut into long strands and hung on poles in a drying room for about 40 hours. Noodles are then hand cut to length and finish air drying before packaging. Commonly people avoid buckwheat in the mistaken belief that it's a type of wheat. Despite the name, buckwheat is not wheat and is not related to wheat. Its old northern European name was "beech wheat" in reference to its small, black, triangular seeds that although much smaller, resemble beech nuts of a beech tree. From "beech wheat" came the Dutch name "boecweite" or "boekweite": 'boek' meaning beech and 'weite' meaning wheat. After Dutch settlers introduced "boecweite" to colonial America, it gradually became known as 'buckwheat'. The art of making noodles is believed to have originated among farmers in China, were introduced to Buddhist temples, and taken to Japan by monks. The first reference to soba or buckwheat in Japan appears in records from the Heian period AD 794 to 1185. Soba noodles or 'soba kiri' are mentioned in documents from the early 1600s. Buckwheat protein is superior to other cereal grain as it has all essential amino acids and is the best source of the important flavonoid rutin. According to FDA, "Diets rich in whole grain foods and other plant foods and low in total fat, saturated fat, and cholesterol may reduce the risk of heart disease and some cancers." Also, low fat diets rich in fiber-containing grain products, fruits, and vegetables may reduce the risk of some types of cancer, a disease associated with many factors." Eden 100% Buckwheat Soba is 100% whole grain, a good source of healthy fiber. Furthermore, "diets low in sodium may reduce the risk of hypertension or high blood pressure, a disease associated with many factors." Eden 100% Buckwheat Soba has no salt added and is a good source of protein. 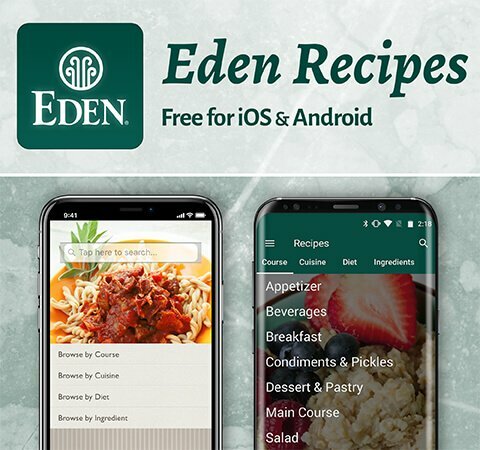 Although buckwheat is not related to wheat and is very low in gluten, Eden 100% Buckwheat Soba is made on equipment that handles wheat and eggs. 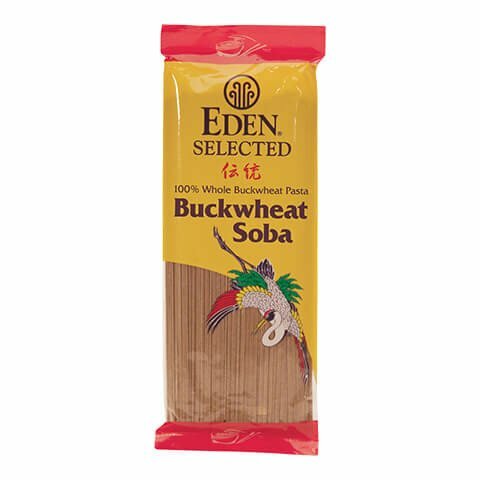 Eden 100% Buckwheat Soba is a delicious, versatile, strengthening food. Enjoy it hot or chilled in dashi - a shoyu soy sauce kombu broth and in salads and stir-fries. Wrapped in toasted nori it makes delicious noodle sushi. It is important not to overcook cook 100% Soba. The very low level of gluten in buckwheat makes it fragile if overcooked. Soba and Udon can be boiled just like other pasta or you can use a traditional Japanese cooking method which takes a little longer but is well worth it. This method is called the shocking method, cold water is added to boiling water several times during the cooking process creating a firmer, al dente noodle. For this method place 2 quarts of cold water in a large pot, cover, and bring to a boil. Remove the cover, add the noodles, and stir to prevent sticking. As soon as the water comes to a boil again, add enough cold water to stop the water from boiling (about a 1/2 cup). Bring to a boil again, and add cold water again. Repeat one or two additional times until the noodles are done. Periodically check the noodles by removing a strand and biting or cutting it in half. If the center of the noodle strand is white and the outside is darker, the noodles are not done. When the center of the noodle is the same color as the outside, and the noodles are firm yet tender to the bite they are done. Rinse cooked Udon and Soba noodles under cold water. This lowers sodium and prevent clumping.